Disaster preparedness: The disaster caught National Disaster Management Authority napping. It blamed the meteorological department for not issuing any alert but failed to monitor its forecasts. He has fought all his life to save the hills and the rivers that hurtle down them. But at 86 and long after becoming a beacon for environmentalism in India, Chipko Movement founder Sunderlal Bahuguna almost became a victim of the forces he has always sought to appease. 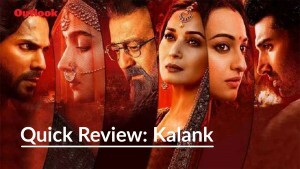 As rivers next to his ashram, not far from Dehradun, continued to swell following torrential rain in Uttarakhand, Bahuguna had to be lifted by his associates and carried away from the rapidly rising waters that had entered his room. Having now seen devastation of the kind he thought he never would, Bahuguna says the government learnt no lessons from the Chipko Movement (see interview). And as we continue to count the dead, officially close to a thousand, and struggle to come to terms with the extent of the damage, the ‘Himalayan tsunami’ tells us another cautionary tale—of how our hills have always been exploited but never loved and protected. They are crumbling as they become tourist destinations and holiday homes for the urban rich. 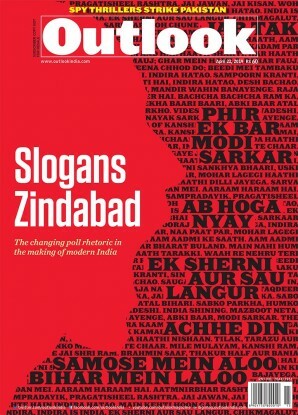 They groan under the haphazard infrastructure created to pamper pilgr­ims. The hills and its rivers are mutila­ted to house dams; its trees felled indiscrimi­nately for timber; the banks and beds of its rivers torn apart for stones and sand. You might hum and delude yourself into believing that the hills are alive with the sound of music but the truth is that they are dying due to the harsher notes of ‘development’. It’s true not just of Uttarakhand but practically of any of the hill states in India, whether it’s Sikkim or Meghalaya and Mizoram. Even our Western Ghats and the Aravalli range are under severe assault. Is there a way to control people from flocking to the hills? Should we restrict the inflow of outsiders into ecologically fragile areas? For instance, Chopra poi­nts out, the Uttarakhand government had wisely curtailed the daily inflow of kanwarias to the Gaumukh glacier, source of the Ganga, to 150 a few years back when thousands began flocking. This problem applies equally to Hima­chal Pradesh, also affected by this disaster. The state has promoted tourism aggressively, without a thought to its consequences. “There has been a spurt of tourism but without any exhaustive study of an area’s carrying capacity (how many people it can sustain),” says P.S. Ahuja, director, Institute of Himalayan Bioresource Technology, Palampur. Roads have been constructed without considered planning, encroaching on natural drainage systems and making the hills more prone to landslides. “When we cut a mountainside to construct a road, we have to factor healing into the cost. We have always made these decisions more on political and economical rather than ecological considerations. We are always interested in making a quick buck rather than a sustainable buck,” says Ahuja. And falling forest cover, especially its degrading quality, doesn’t help either. 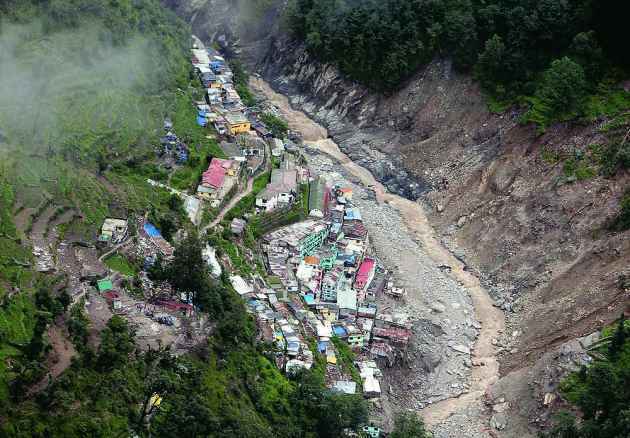 Not just Uttarakhand, but even the hill states of the Northeast or the Western Ghats are under assault. 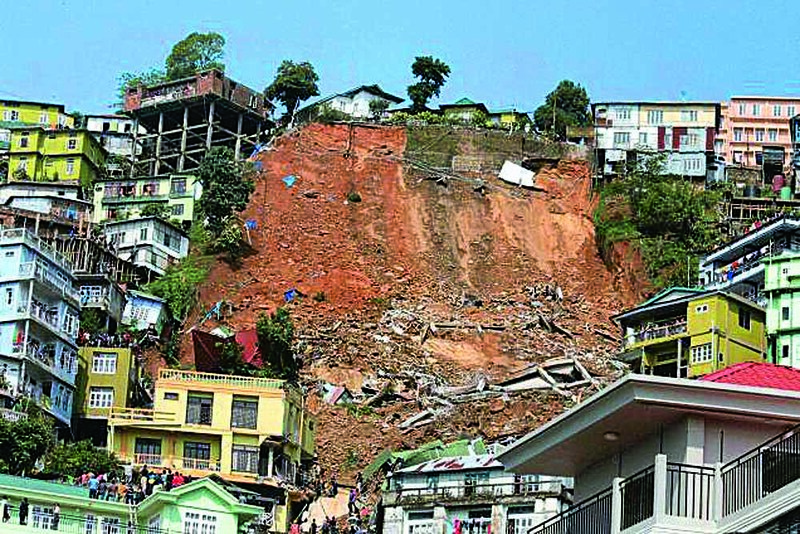 Even before the disaster in Uttara­khand, heavy rain and landslides had killed over 25 in Sikkim in September last year; another 13 had perished in a landslide in Aizawl in May this year. G.S. Solanki, a zoology professor at Mizoram Univer­sity, says the state’s afforestation programme has propagated a monoculture that doesn’t provide the soil enough fertility for smaller shrubs to grow to hold the topsoil. Save the Hills, a Kalim­pong-based NGO in north Bengal, has planted vetiver grass to successfully check landslides. In nearby Meghalaya, deforestation has occurred in large parts due to the sale and transfer of communally owned forests, which account for over 90 per cent of the state’s natural forest cover, to private parties. This calls for raising awareness amongst locals about the importance of these forests, adds professor of botany at the Northeastern Hill University, S.K. Barik. Can there be a viable economy that also protects these forests? Without any means of livelihood other than agriculture, locals in the hills have gravitated towards tourism in huge numbers, even if it means peddling just chips and min­eral water to tourists. The government has only encouraged this easy route rather than seriously promoting an economy based on local resources, a process which takes longer but is more sustainable. “This will then encourage the locals to protect the local ecology,” says Anil Prakash Joshi of the Dehradun-based Himalayan Environmental Studies and Con­servation Organisa­tion. Some of the unique initiatives his organisation has promoted include popularising offerings at local temples that are made with locally grown cereals like millets instead of those brought in from the plains. “In Uttarakhand, over a thousand villages are nearly empty. Who is going to protect the local forests?” asks Joshi. If asuras and devas could work together for the greater good, can’t the state and the people?